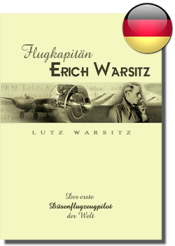 UK publisher of aviation books PEN AND SWORD BOOKS LTD, recognizing the worldwide interest shown in Lutz Warsitz' biography of his father entitled "Flugkapitän Erich Warsitz", which was published in 2006 to mark the 100th anniversary of the famous pilot's birth, has had the volume translated by Geoffrey Brooks. 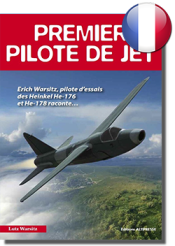 Author Lutz Warsitz has recalled the many conversations with his father, in which the latter recounted in the original aviator's jargon the exciting story of the Heinkel He 176 and He 178 development. Little is known of this pioneer period because of the strict secrecy which shrouded the whole project - it is a fascinating story that tells of the birth of the jet age and flight as we know it today. The book includes many unseen photographs and diagrams. "Some readers might be reluctant to pick up a book that has been “translated”, as the word almost invariably implies a disjointed and difficult-to-read text. Thankfully, nothing could be further from the truth. Not only has the translator, Geoffrey Brooks, done an excellent job of translating the author’s words extremely readably, he also appears to have grasped all the subtleties of humour and personality intended by the author. This book is nothing short of a gem for anyone interested in real aviation history. A thoroughly recommended read." 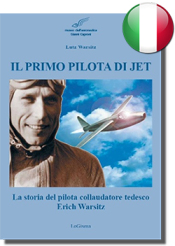 "The book is a fascinating glimpse of a spectacular piloting career! It faithfully profiles the dawn of the rocket and jet age, from the perspective of a participant with an eagle eye for detail." "This is a fascinating first-hand account of a little known chapter in aviation history, which will be enjoyed by all aviation buffs and historians!" "As time passes it is getting rarer to read first-hand accounts from those who participated in World War II, especially those involved in significant events. Fortunately some have recorded their experiences and passed them on to family members who realize the significance of what their parents achieved. 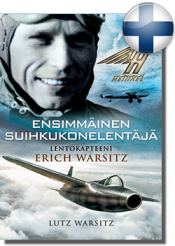 This book is a very historic and very readable document of a fascinating, dangerous and pioneering time in aviation history and upon putting it down one can only admire the courage of Warsitz and the men and women who followed in his footsteps." "After all, it is not every day that you get to read a book of such historical significance. Perhaps this review should be censored as the book contains information that is both extraordinary and quite shocking as the reader realizes how close the world came to seeing a very different result in WW2. Little is known of this period in German aviation history as the project was shrouded in secrecy, which is what makes this book so exciting and fascinating to read. 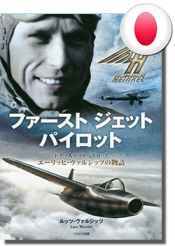 This book is the story of a remarkable pilot and the birth of jet flight as we know it today. An easy and informative page-turner!" 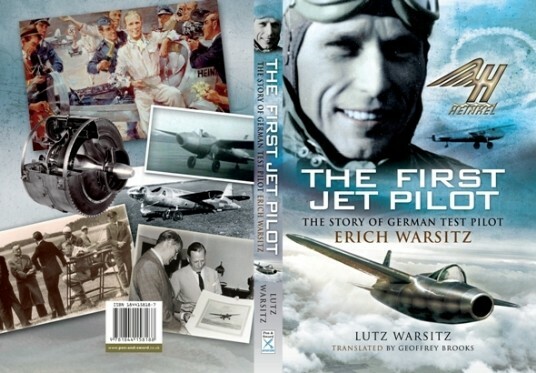 "This book, authored by the pilot’s son, Lutz Warsitz, following years of research into his father’s notes and diaries, provides the reader an accurate series of events both preceding and subsequent to the flight. As well, it gives the reader a sense of the general atmosphere existing in the Luftwaffe during the heady days of German aviation experimentation in the 1930s." "A fascinating story of a very important person in the history of aviation and one that is good to have in print at long last! All aspects of initial research into jet and rocket propulsion are covered along with all the technical and political elements that had a bearing on them." 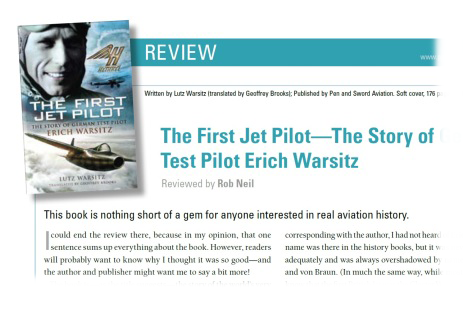 "A fascinating read and an invaluable insight in to the workings of pre- and wartime test flying under the Third Reich! The reader will find the story of the trials and tribulations of pre-war life in Germany fascinating, including the infighting that took place." 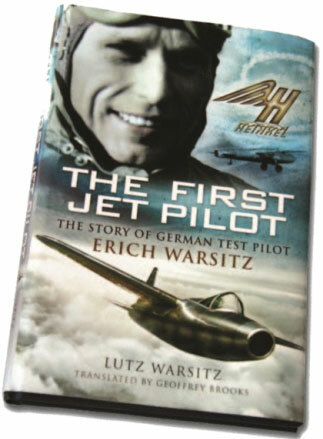 "Germany's Erich Warsitz should go down in aviation history as one of the great test pilots! He died in 1983 but this book is a fitting tribute to his largely unheralded achievements."